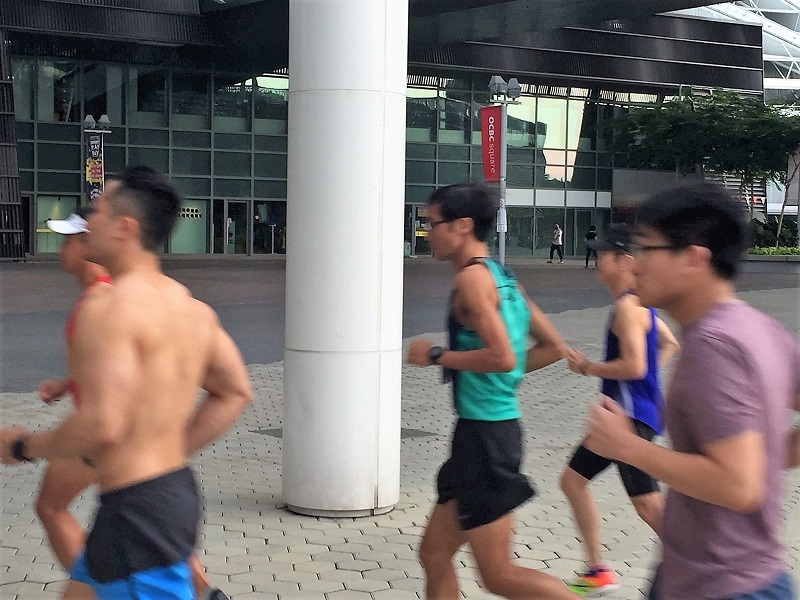 Operation Sunbird, Team FatBird’s structured marathon training for Standard Chartered Singapore Marathon (SCSM17) got off to a flying start from the Singapore Sports Hub on Sunday morning. 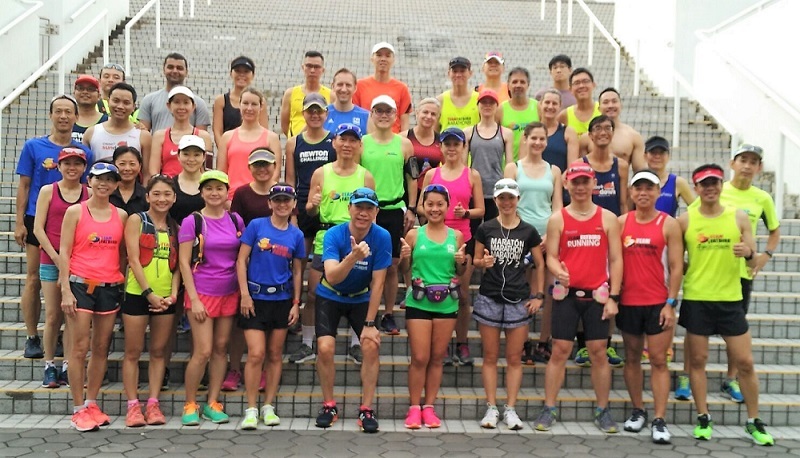 The program saw the return of many satisfied trainees as well as a number of new participants, all looking to get some serious run training in for a good showing at SCSM in Dec 2017. 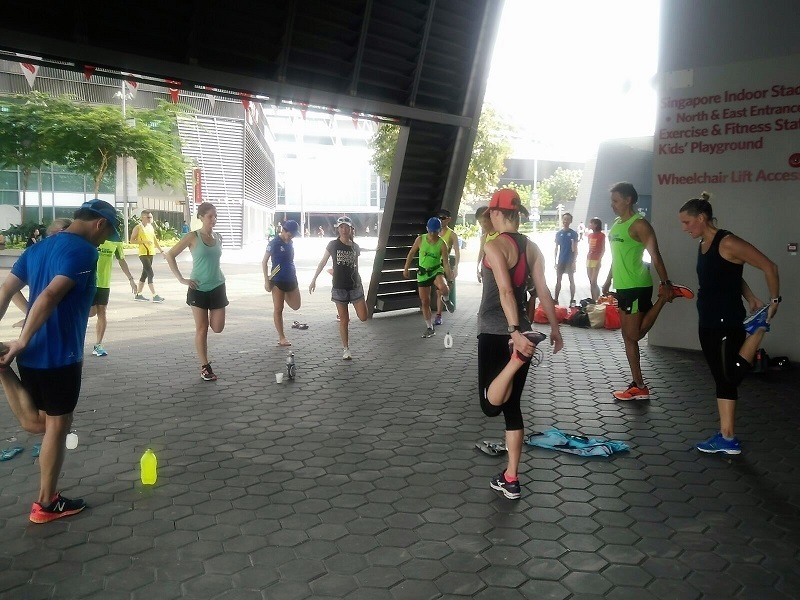 After a welcome and overview of the 12-week training program outline, the runners were placed into respective training groups according to their abilities as well as race targets. 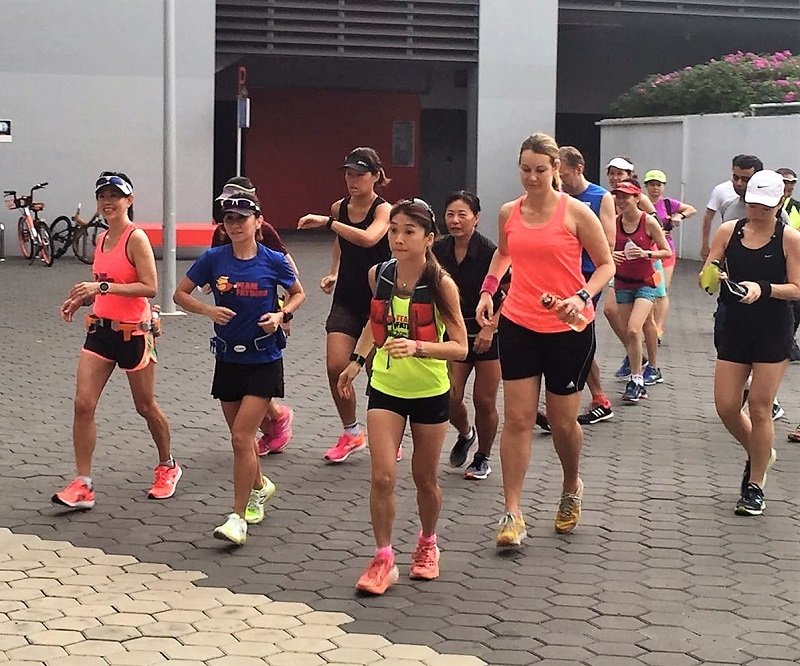 The Half Marathon (HM) and Full Marathon (FM) groupings were each led by 1-2 experienced FatBird trainers and pacers who will guide the Sunbird trainees throughout their training journey. The kickoff session had the trainees doing their first long run at BaseBuild Pace of 12km for the HM Sunbirds and 22km for the FM Sunbirds. It was a controlled but smooth start for all to get into the groove. By mid point of the run, most have settled into their target training paces and were running together with their respective trainers in groups. Many of the trainees have just come back from a good break and were looking forward to this operation to whip them into racing weight and shape. At the mid-point of this long run, most of the Sunbirds were still maintaining target paces while a few newer ones were showing some signs of strain in their faces. The heat from the sun on our return provided challenges and conditioning opportunities to the Sunbirds for a tougher than expected long run. 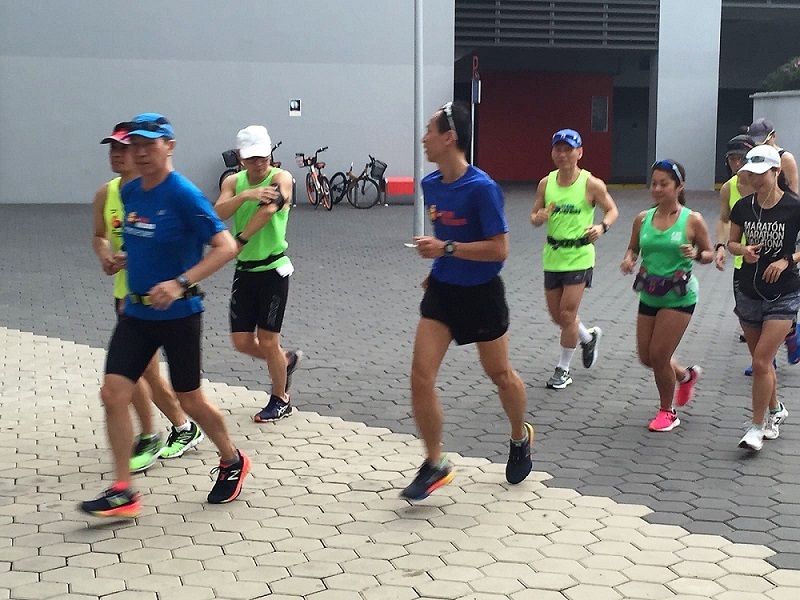 With the guidance of the experienced Sunbird trainers, all runners completed their first session with flying colours. A cool-down stretching session was conducted to help ease those tired muscles. 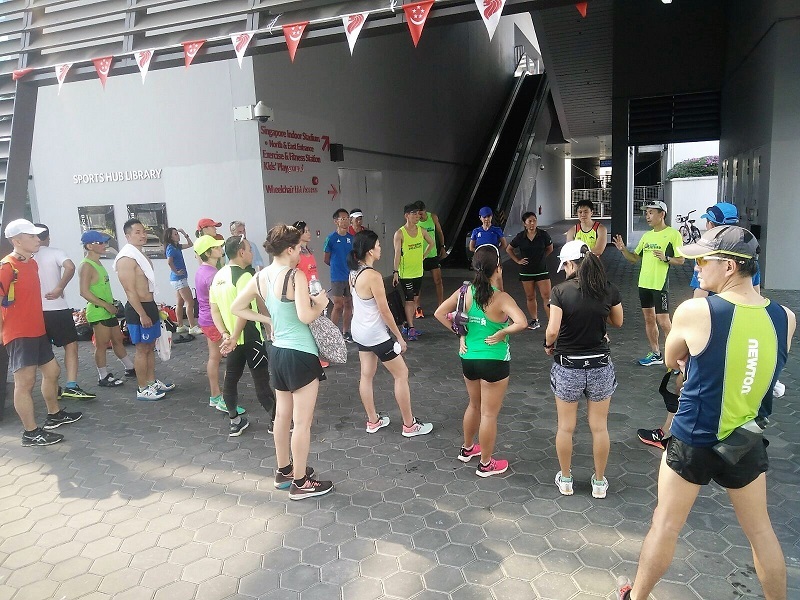 A debrief of the morning’s run was conducted with some tips on how to maximize the Sunbird marathon training before concluding the session at 10.30am. It was a smooth start for the Sunbirds at their first training session with Team FatBird. 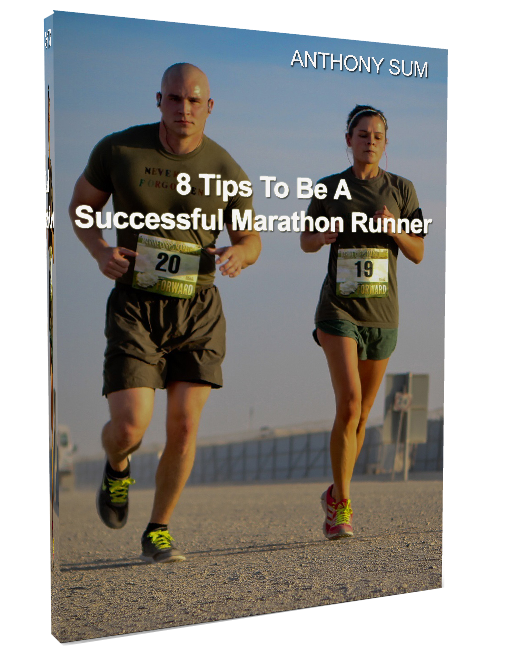 This will set the stage for progressive workouts of basebuilding and pace training in the following weeks to strengthen the marathon abilities of all participants. The Sunbirds Got Off To A Flying Start!